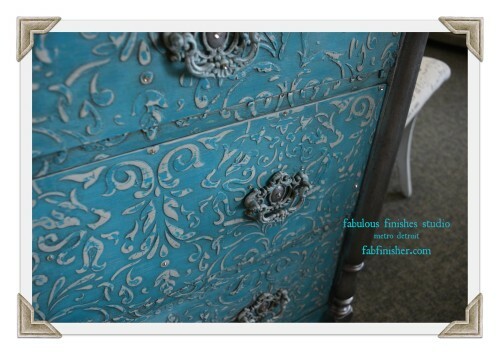 Sometimes, you have to throw caution to the wind, listen to your heart and sing your own song! 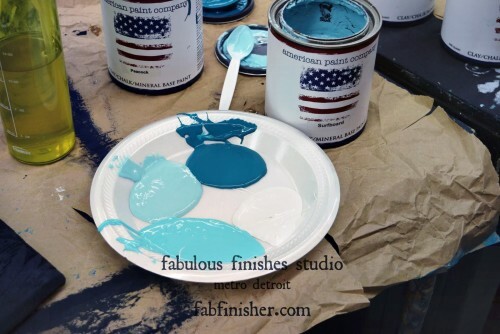 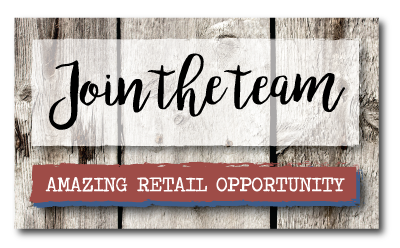 Patty, an American Paint Company retailer and owner of Fabulous Finishes Inc, A DIY Paints Retailer in Shelby Township, MI, is a true artist, we appreciate her talent and expertise in creating out of box finishes and unique painted furniture! 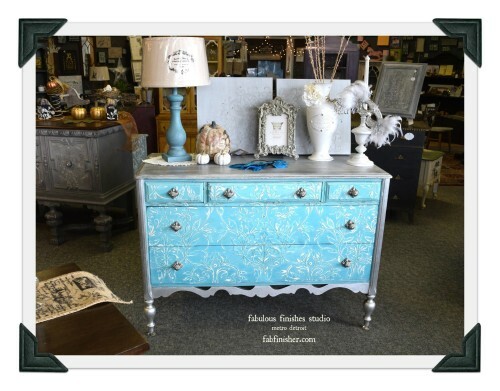 Each of her pieces are labor intensive, and usually several layers of color are used to create a uniquely creative signature finish, and this beautiful piece is no exception! 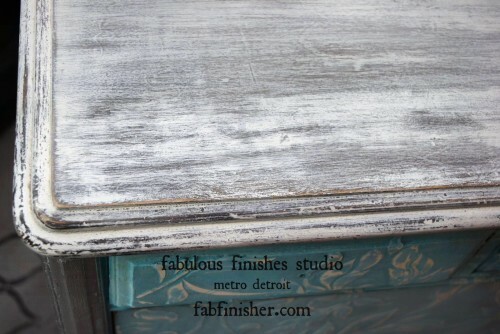 A wonderful antique dresser had seen better days and it was showing battle scars from years of use, and its ready for an update! 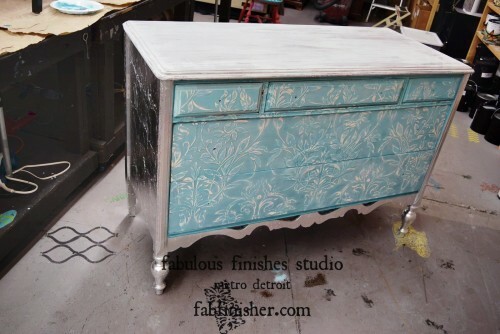 The dresser top was originally sanded down revealing more bruises, dents and gouges. 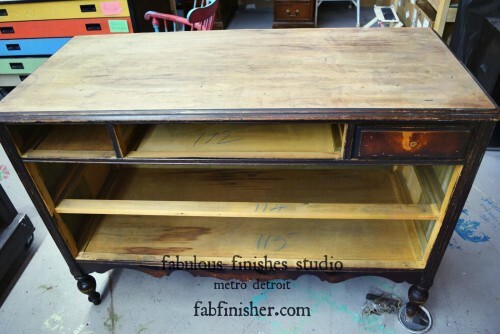 The top was stained with a dark stain and another layer of color was applied over top. 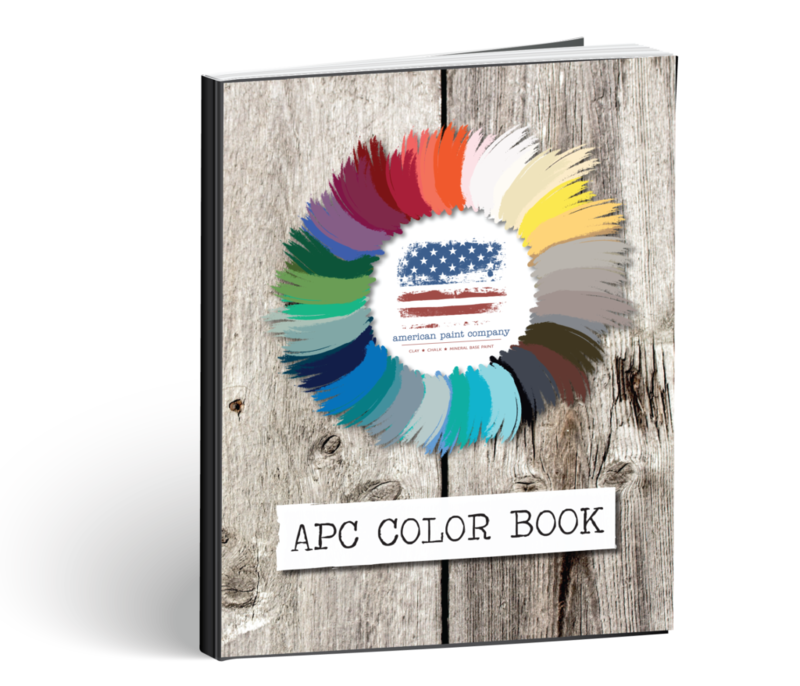 A custom paint blend was mixed using gray paint and APC’s Rushmore and Uncle Sam, the dresser top was painted with this blend as a base and finishing layer. 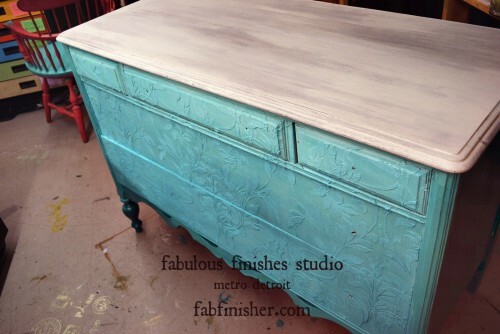 Silver Leaf (little squares of silver leaf) was applied to the sides, feet and details of this piece and an all over stencil was used to develop a textured raised design to the drawer fronts. 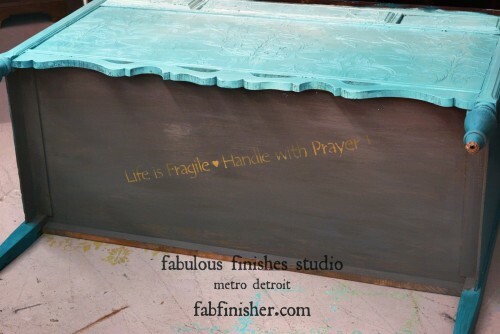 The raised stencil was lightly sanded to reveal layers of color! 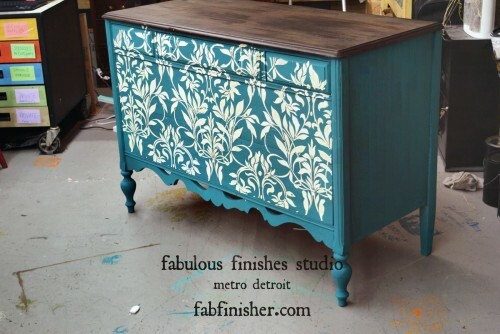 A uniquely beautiful painted piece!